Spend Thursday, October 22nd, at the Albuquerque International Balloon Museum taking part in talks on multiple critical infrastructure topics including: Nuclear, Financial Services, Information Technology, Communications, and Emergency Management. 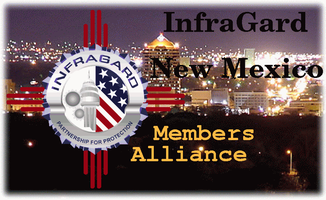 Talk with your peers and network with critical infrastructure professionals from across New Mexico. Don’t forget to tour the museum while you’re there. Dr. Richard G. Brody: Douglas Minge Brown Professor of Accounting at the Anderson School of Management and a Daniels Fund Business Ethics Fellow. He is a prolific author and an expert on fraud, and was honored as the ACFE's 2012 Educator of the Year. Alan Carr: Historian for Los Alamos National Laboratory. During his tenure as Laboratory Historian, Carr has produced several publications pertaining to the Manhattan Project, early nuclear weapons design, and nuclear testing history. John Jarocki: Member of technical staff at Sandia National Laboratories where he works on cyber security research and incident response. Before Sandia, John spent twenty years wrestling with computer security challenges in a variety of Fortune 500 semiconductor firms. Roger Ebner: Director of the Office of Emergency Management for the City of Albuquerque, New Mexico. Mike Langner: Broadcast Chair of the New Mexico Emergency Alert System, a volunteer position he has held for many years going back to the early days of the old Emergency Broadcast System. The event takes place from 8:30 p.m. to 4:30 p.m. and tickets can be obtained by clicking HERE.